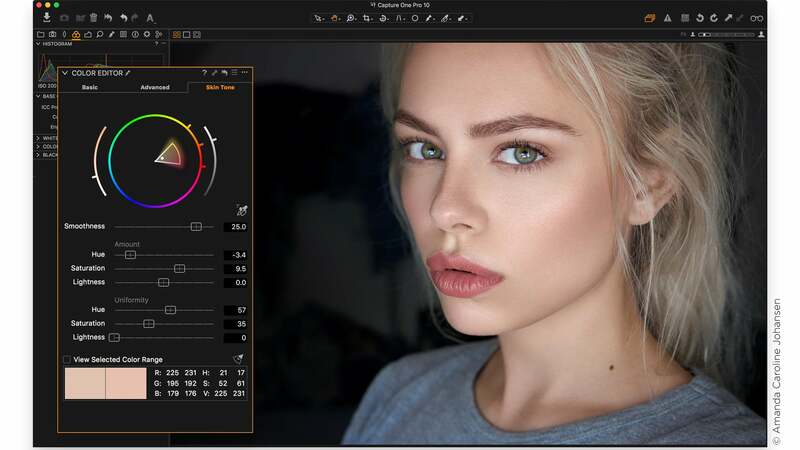 Capture One is one of many applications on the market that specializes in taking the RAW file* from your camera, and using a variety of adjustment tools, allows you to make non-destructive changes to the image. Either for creative effect or correcting errors at time of capture, for example incorrect exposure. What sets Capture One apart is its long history of use within the professional sector and its ability for high performance direct-to-computer capture (tethering). Capture One is also known for its exceptional image quality, with excellent sharpening, noise reduction and color handling characteristics. *Why shoot RAW? RAW files typically have a greater amount of image “data” then their JPEG counterparts. The benefit to you is to be able to adjust the image after capture, to correct for common mistakes, like under exposure or incorrect white balance. The flexibility of the RAW file also means that creative adjustments (color, local adjustments, contrast and more) can be made with little or no destruction to the image. It’s the best way to get the most from your Sony camera’s amazing image quality. It’s not uncommon for camera manufacturers to offer some sort of software package in the camera box. Sony and Phase One saw the opportunity to do something different from the usual in-box bundle. Understanding that software is an important part of the digital package a high-quality, highly-capable software bundle that matched the leading-edge technology in the camera was sought and in Capture One, an ideal partner was found. Sony and Phase One have a unique partnership that began in 2015. 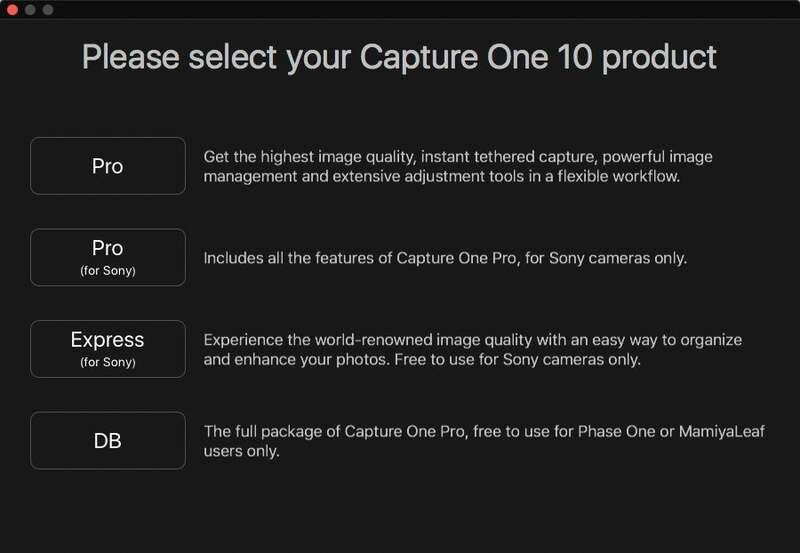 Phase One offers two Sony products - Capture One Express (for Sony), a completely free solution - and an economical upgrade to the full professional version of Capture One – Capture One Pro (for Sony). Capture One Pro’s normal retail value of $299 USD is offered at only $50 USD for Sony camera owners. There is no difference in functionality, except for compatibility with Sony cameras only. Capture One Express (for Sony) is a great way to evaluate the application as its free and you can use it for as long as you like. There’s no need to worry about trial periods. Simply download and get started. Capture One is compatible with Mac (OSX 10.11 and 10.12) and Windows (Version 7 and later). The download also contains the Pro version if you wish to evaluate that as well for a fully functional 30 day trial. To start the trial, just download and run the installer. Choose Express (for Sony) to start up this product. Choose Pro (for Sony) to evaluate the Pro version in a 30 day trial. “Pro” has a greater feature set and allows direct-to-computer tethered Capture with a compatible Sony camera. To compare Express to Pro see this feature set here. To confirm that your camera is compatible, check the list here. Capture One Express, like many other similar applications (Lightroom and Aperture for example) relies on a database to track the location of your images and know certain things about them, like image adjustments. This database is automatically created and located in your Pictures folder. From this point on it’s a simple matter of importing images into the Capture One catalog and enjoying all the possibilities of image management and adjustment. For further learning, go to Capture One’s learning hub for many tutorials and guides.